Looking for a loan? We will be glad to help! Give me a call today at (662) 429-5100 Ext-110 . Ready to begin? Apply Online Now. Ready to refinance? We're ready to help. 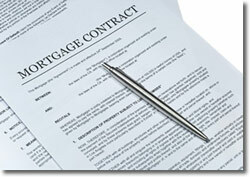 Is your refinance primarily to lower your rate and monthly payments? If so, getting a low, fixed-rate loan might be a wise choice for you. Maybe you are presently in a mortgage with a high, fixed interest rate, or a mortgage loan in which the rate of interest varies as an adjustable rate mortgage (ARM). Different than the ARM, a low fixed-rate mortgage stays at a certain low rate for the term of your loan, even when interest rates rise. A fixed-rate mortgage is especially a wise choice if you don't think you'll be moving within the next 5 years or so. However, if you do see yourself moving in the near future, an ARM mortgage with a low initial rate might be the best way to lower your monthly payment. Combine a first and second lien to a single loan for simplicity and savings. You may be able to tap into your home's equity with a cash-out refinance and use the cash to fund home improvements, college tuition or other major expenses. Want to know more about refinancing your home? Give Cynthia Bigham a call: (662) 429-5100 Ext-110.